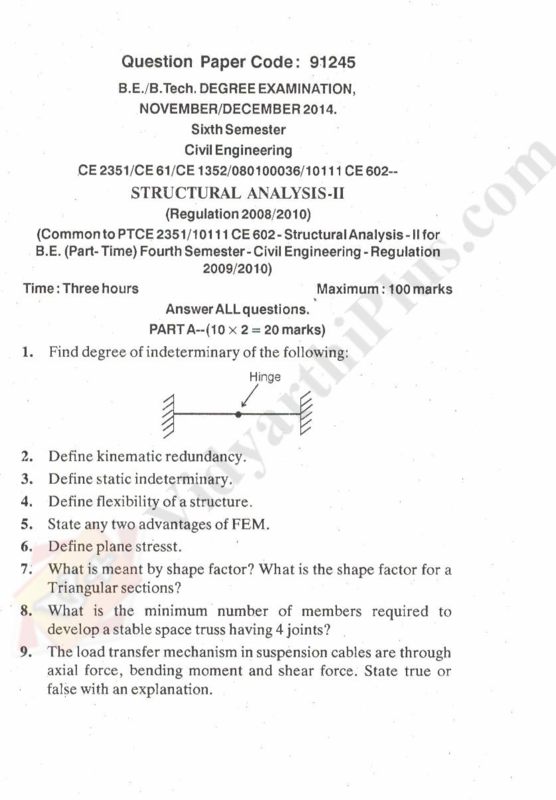 Structural Analysis - II Previous Year Solved Anna University Question Papers. Contains the Solved Question Papers from 2011 to 2014. 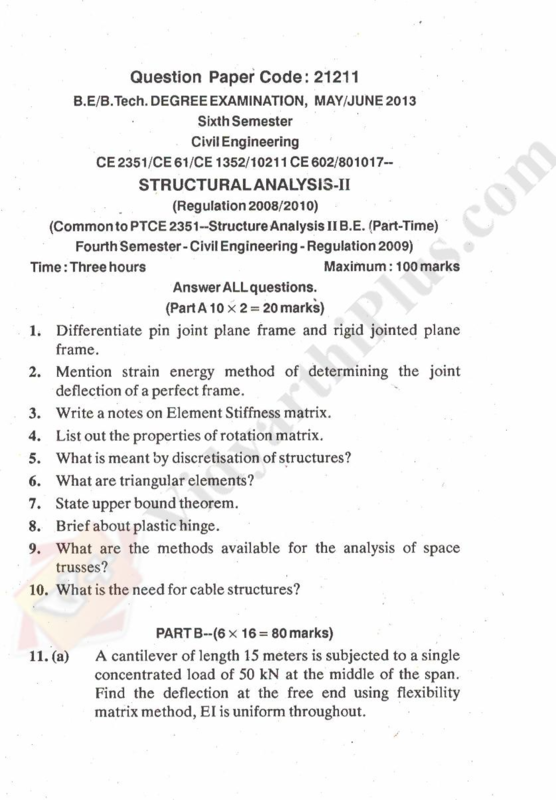 Syllabus is covered based on B.E Civil Engineering, Anna University Chennai.